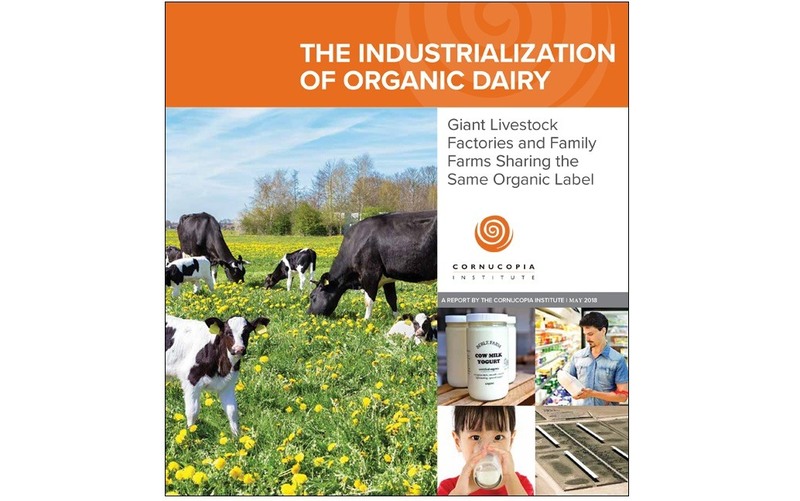 When commercialized in the 1980s, the organic dairy movement was viewed by many farmers as opting out of a rapacious agricultural marketing system that had already driven the majority of dairy farm families off the land over the preceding two decades. Now, a quarter century later, history is repeating itself with giant “factory farms” flooding the organic dairy market with fraudulent “organic” milk and economically devastating family businesses and rural communities. According to the latest USDA records, organic milk production jumped 18.5% in 2016 alone, far eclipsing the growth in market demand. As a result, wholesale purchasers of raw organic milk have cut prices to farmers by 25-30% or more. In addition, some buyers have set quotas, mandating production cuts, further impacting cash flow. The largest organic dairy name brand, Horizon, owned by Groupe Danone of France, is terminating contracts with some farmers, at a time when there are no alternative markets available. Industry experts have called the moves by the world’s largest dairy a “death warrant” for farmers. 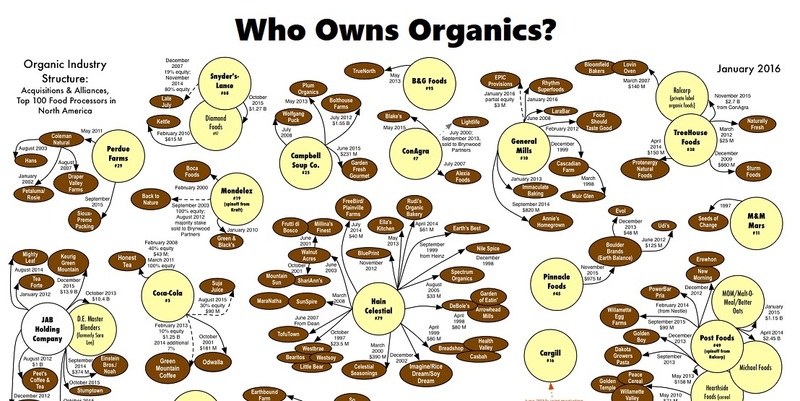 With the glut of organic milk, and the USDA abdicating their legally-mandated oversight responsibilities, authentic organic farmers and their customers are poised to band together to take their fight to the dairy coolers of the nation’s groceries and specialty retailers. Over a decade ago, Scotts partnered with Monsanto to market a GM bentgrass resistant to glyphosate (Roundup). It was planted next to the Malheur National Forest in test plots ostensibly controlled by Oregon State University. Unbeknownst to most people, it was also planted all over the US—in California, Iowa, Maryland, Pennsylvania, and seventeen other states. It was supposed to be confined and controlled, but it very quickly escaped and spread out of the test plots in Oregon into Idaho, and crossbred with natural grasses to create new breeds that were also resistant to glyphosate. It clogged up irrigation ditches, threatening food crops and contaminating pasture-raised cattle with GMOs. In addition to the immediate threats to farmers and ranchers, grass seed—which is among Oregon’s top five commodities—is now under threat. 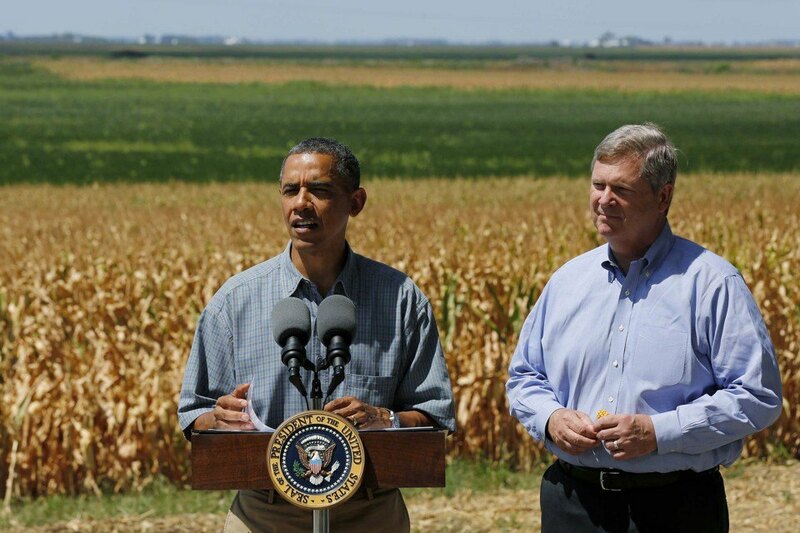 Initially, Scotts-Monsanto tried to stop the spread and clean up the contamination. But it was unable to do so because the original bentgrass (and now the other grasses it cross-pollinated with) are glyphosate-resistant. More toxic herbicides have been brought in to try to keep irrigation ditches clear, and to stop the grasses from clogging and eventually killing waterways important to wildlife and humans. "When independent, government scientists produce research that threatens corporate agribusinesses, the USDA — according to at least 10 government scientists — censors the results, waters down the findings and punishes the researchers." 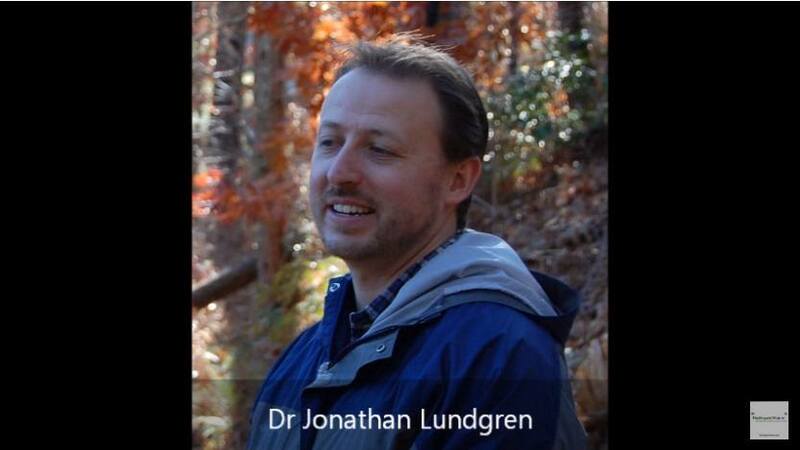 Jonathan Lundgren is one of these 10 scientists. The other 9 have all chosen to remain anonymous for fear of even more reprisals. In the first week of November 2015, Jonathan Lundgren, who spent the last 11 years working as an entomologist at the USDA, filed a whistleblower complaint against the agency, claiming he'd suffered retaliation after speaking out about research showing that neonicotinoids had adverse effects on bees. 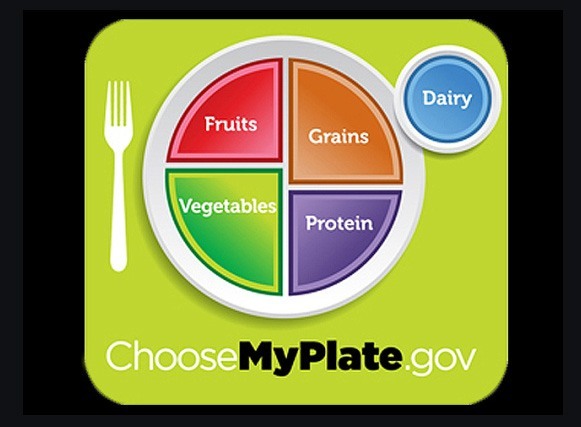 Our national government's attempts at issuing dietary guidelines are usually inappropriate and ludicrous. Unfortunately, those guidelines dictate what the average certified dietitian offers as sound dietary advice. If you've ever had to eat hospital food, you were the recipient of a dietitian's control over the hospital's kitchen. Today there are virtual food fights over different dietary approaches. It seems the advocates of each diet want to create a following and promote how their particular approach to eating assures longevity and good health. But there is no one size fits all diet. This isn't about therapeutic diets for overcoming specific diseases, especially cancer. Rather, this commentary is about assigned bureaucrats effort to decree a day to day dietary intake for maintaining one's health. A recent article decrying current national efforts at dictating dietary advice by journalist Nina Teicholz was recently published in the BMJ (British Medical Journal). Nina authored The Big Fat Surprise: Why Butter, Meat and Cheese Belong in a Healthy Diet. Her book received accolades from literally hundreds of Amazon reviewers and some New York based magazines. Those responses struck this author as a carnivores' chorus of affirmation with a prolonged amen. 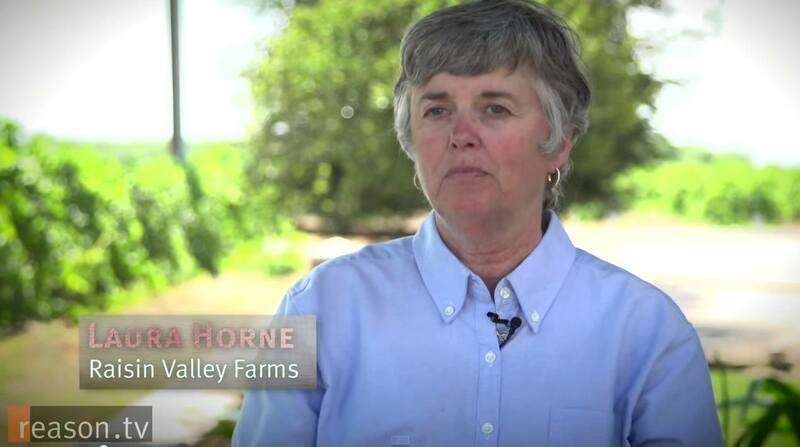 The U.S. Supreme Court today handed down their decision in USDA vs. Horne. They ruled against the USDA in favor of the Hornes, raisin farmers in California. The USDA set to make an example of the Hornes for opting out of the price-fixing scheme, slapping them with about $1 million in fines and threatening their small farm. The farmers sued, claiming that packaging and selling their raisins themselves rather than turning them over to the government pool made them “producers,” not “handlers,” and, therefore, not subject to the government rules. The 8-1 decision was written by Chief Justice John Roberts, with the court's more conservative justices in solid agreement. Roberts said the government violates citizens' rights when it seizes personal property -- say, a car -- as well as real property such as a house. While the government can regulate production in order to keep goods off the market, the chief justice said it cannot seize that property without compensation. 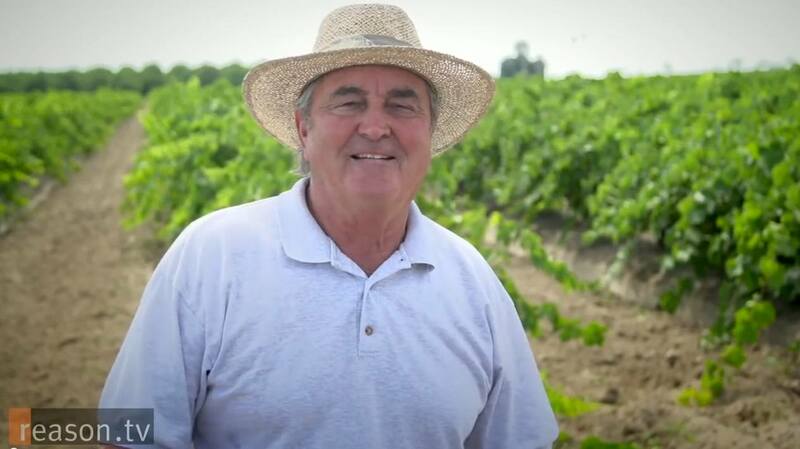 The Supreme Court has decided to hear an important property rights case involving raisin farmers who aren't allowed to keep and sell their own crop. Every year, their raisins are seized by a Depression-era bureaucratic organization called the Raisin Administrative Committee. "They want us to pay for our own raisins that we grew," says Raisin Valley Farms owner Marvin Horne. "We have to buy them back!" This is but one absurdity that Marvin and his wife Laura have faced during their decade-long legal battle with the United States Department of Agriculture (USDA). Every year, the Hornes plant seeds, tie vines, harvest fruit, and place grapes in paper trays to create sun-dried raisins. And every year, the federal government prevents them from bringing their full harvest to market. Watch the video for the full background on the case and to see what it's like for farmers who have up to 47 percent of their crop seized every year.